Tingleff has been a professor of ceramics at Oslo National Academy of the Arts and is one of Norway’s most noted ceramists. Her international breakthrough came about when she participated in the exhibition Scandinavian Craft Today, which travelled to Japan and the USA in 1987-88. She has held many international exhibitions, not least at Marsden Woo Gallery in London and at Nancy Margolis Gallery in New York. Her works have been purchased by the Victoria & Albert Museum in London, by Design Museum Denmark, and by Norway’s three museums for design and craft-based art. Tingleff has been selected for a group show with international ceramic artists on view in 2018 at CLAY Museum of Ceramic Art in Denmark. 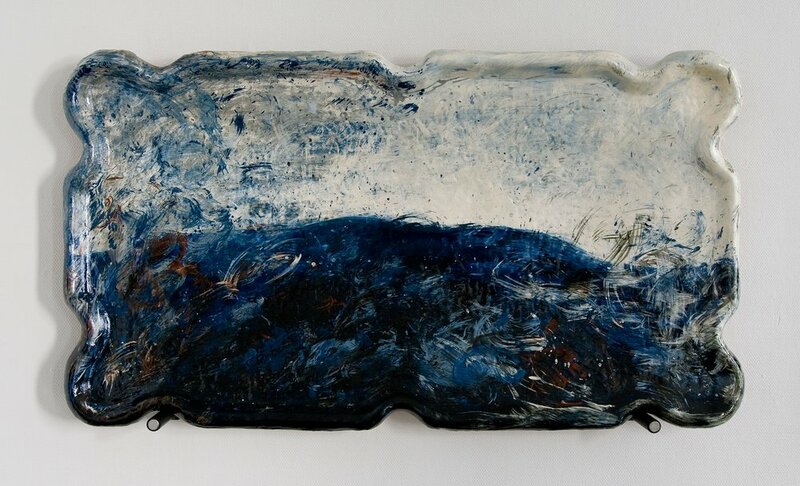 Deep blue ornamental plate I, 2018 | Earthenware clay with slip decoration.